Decades ago, Tilarán and Tronadora were farmlands which produced coffee, macadamia, and peanuts. 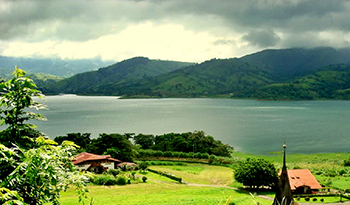 Today, these towns are a growing tourist destination and a retirement haven located by the stunning Lake Arenal. Ranching continues in these towns on the west shore of Lake Arenal, as do windmills and hydroelectric plants that provide power to the general area. The overall vibe of both towns is quiet, relaxed, and friendly. 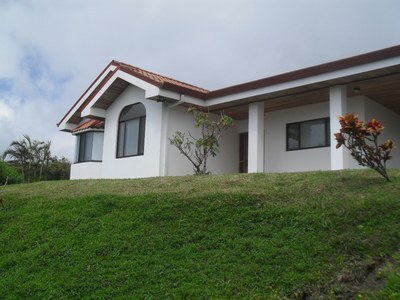 Living on Lake Arenal is a calm, tranquil and luxurious experience, as residents of Tilarán and Tronadora can attest to. Properties in Tronadora start between $50,000 and $70,000. Luxurious houses tend to sit on half acres and sit right on the lake so that the residents can partake in the calming views and tranquil breezes. Tilarán real estate is also a hit with expatriates due to Tilarán’s larger size and many conveniences, and real estate prices in Tilarán reflect this preference. In both Tilarán and Tronadora, the real estate property types are similar. Homes come in the form of cabins, hillside mansions, and one to three bedroom villas. Most properties feature fruit trees, views of the lake or mountains, and decorative gardens in shades of deep purple and bright orange. The towns and roads are well kept, and are rewarded by a steady stream of tourists. 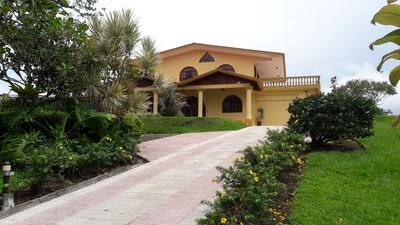 Vacation rentals, new shops, and teak farms are typical real estate investment purchases in Tilarán and Tronadora.